The system supplies almost CO2 neutral heat to more than 50 million m2 area corresponding to an annual heat demand of 30.000 TJ. Ramboll has provided various services to the transmission companies and most of the distribution companies. Our assistance to the first companies began more than 45 years ago and today most of the companies are among our clients. We are currently assisting our clients in planning the extension of the district heating system, encouraged by the environmental benefits, the profitability for the Danish society and the CO2 emission reductions. The integrated project is one of the largest projects implementing the national energy policy and it is developed in combination with the implementation of a natural gas infrastructure in accordance with the heat supply act from 1979. The 150 kilometres of transmission mains, commissioned from 1986 to 1990, link more than 20 distribution networks via heat exchangers. 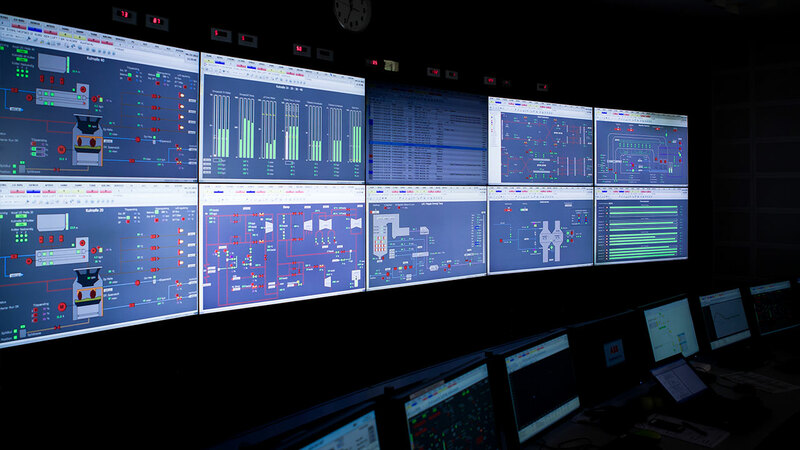 The control and monitoring centres ensure that all the available heat sources in the region are utilised in the most efficient way. By utilizing surplus heat from waste-to-energy, renewable energy and CHP plants, the CO2 emissions of the heat delivered to the end-users is 3 times less than it would have been with heat only boilers. Besides being the most environmental friendly solution, the district heating is profitable for the end-users compared to individual heat sources. As in-house consultants for many of the district heating companies in the region, we have worked closely together with the local authorities and the management of the companies being involved in all stages of project planning, implementation and operation. As this project forms a model for the district heating, we have in Ramboll used our experience from projects in a number of other cities around the world, for example pressure transient analysis of the heat transmission systems in Seoul and in Beijing, and planning of large scale CHP based district heating systems in London.